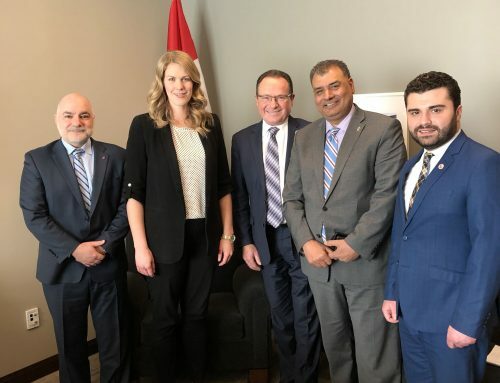 OTTAWA – On Thursday, April 11, 2019, Shahen Mirakian, president of the Armenian National Committee of Canada (ANCC), testified at the House of Commons Standing Committee on Justice and Human Rights regarding their ongoing study on how to combat online hate in Canada. Thank you Mister Chair and the members of the Committee for inviting the Armenian National Committee of Canada to provide evidence to you today. My name is Shahen Mirakian and I am the President of the Armenian National Committee of Canada. I apologize for not being able to join you in person today. As representatives of a community that has suffered genocide, the ultimate expression of hate based violence, we are more familiar than most with the consequences of the promotion of hate. Similarly as a community that has routinely advocated for positions that run counter to the status quo, we are fierce defenders of freedom of expression. In our view there is no contradiction in these two positions. Hate propaganda is a means of infringing the freedom of expression of the targeted group. By delegitimizing or vilifying identifiable groups, hate propaganda makes it impossible for members of those groups to be heard or participate in civil society in a meaningful fashion. Canada’s history of protecting freedom of speech and freedom of expression, while criminalizing the wilful incitement of hate or advocating for genocide has been a powerful example for the international community. Now Canada has to apply the lessons learned from nearly fifty years of combatting hate in the real world to the virtual world and develop a strategy to address online hate. As you are aware on April 24, 2015 the House of Commons adopted a Motion M-587 calling upon the government to recognize the month of April as Genocide Remembrance, Condemnation and Prevention Month. 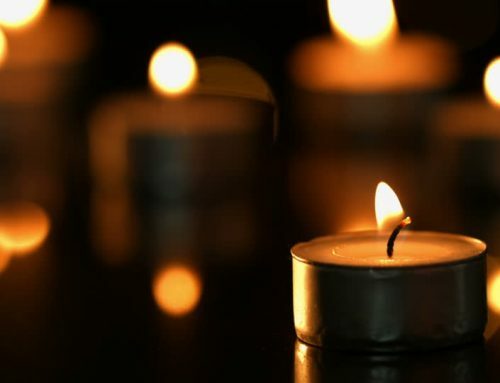 The Armenian National Committee of Canada has worked with various other non-governmental organizations, particularly the Centre for Israel and Jewish Affairs, the Ukrainian Canadian Congress and the Humura Association to ensure that each year the government recognizes April as Genocide Remembrance, Condemnation and Prevention Month. However recognition alone is not enough this April. Over the past year, the ANCC has worked collaboratively with a broad coalition of human rights advocacy organizations to ask for action as well. An important part of that effort was to ask the government to combat online hate. In December 2018, the ANCC joined with 17 other organizations, many of whom are providing advice today, in sending a message to the Minister of Justice asking that a national strategy be launched against online hate. This year for Genocide Remembrance, Condemnation and Prevention Month we are working with a broad coalition of communities who have experienced the horror of genocide to ask all Canadians to join us in requesting that the Government of Canada adopt policy solutions to the problem of online hate. We would encourage all Canadians to visit itstartswithwords.ca and read all about what can be done to combat online hate and what other actions Canada can take to do its part to prevent future genocides and properly recognize those which have already taken place. We also want to go on the record as strongly supporting the four policy recommendations proposed in November 2018 by the Centre for Israel and Jewish Affairs as the basis for a comprehensive national strategy for combatting online hate: defining hate, monitoring hate, preventing hate and interfering to stop hate. We also agree that there needs to be greater use of existing tools to address online hate as well as consideration given to implementing new tools to assist authorities in responding to online hate. One specific area of concern we would like to highlight is that law enforcement must make hate motivated cyberattacks or website hacking a priority. Since 2008, Armenian community organizations have been subjected to three separate incidences of cyberattacks against their online presence. The websites of Armenian-Canadian newspapers, churches and community organizations have been replaced with anti-Armenian propaganda including denial of the Armenian Genocide. Despite publicizing these incidents and reporting them to law enforcement, we are not aware of any active effort to identify the perpetrators. While many cyberattacks will never lead to actual violence, it is very possible that the perpetrators are linked to groups that either advocate for or actually engage in actual violence. If law enforcement prioritized identifying the parties who engage in hate motivated cyberattacks, they may be able to obtain intelligence on potentially violent groups and prevent hate motivated physical attacks. The study undertaken by this committee is a very important first step in combatting online hate. We are thankful to this committee for making room on its agenda during Genocide Remembrance, Condemnation and Prevention month to bring attention to this issue and do its part in preventing future genocides. We are hopeful that this study results in an effective national strategy to deal with the pressing problem of online hate promotion.